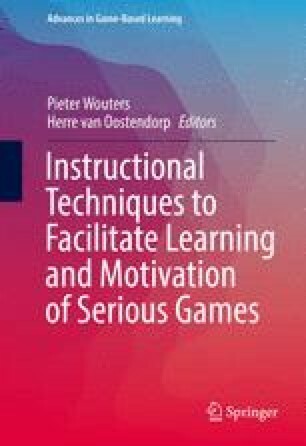 Taking a value-added approach, we examined the impact of feedback on learning outcomes and performance in serious games and simulations. Although feedback has been demonstrated to be beneficial in traditional learning environments, we explore how feedback has been implemented in game- and simulation-based learning environments. In this review, we discuss critical characteristics that affect the efficacy of feedback, including the content of feedback messages, the modality in which feedback is presented, the timing of feedback presentation, and learner characteristics. General guidelines based on the research evidence are provided, and the theoretical implications are discussed in the context of the cognitive theory of multimedia learning (CTML; The Cambridge handbook of multimedia learning, Mayer, 2014b).